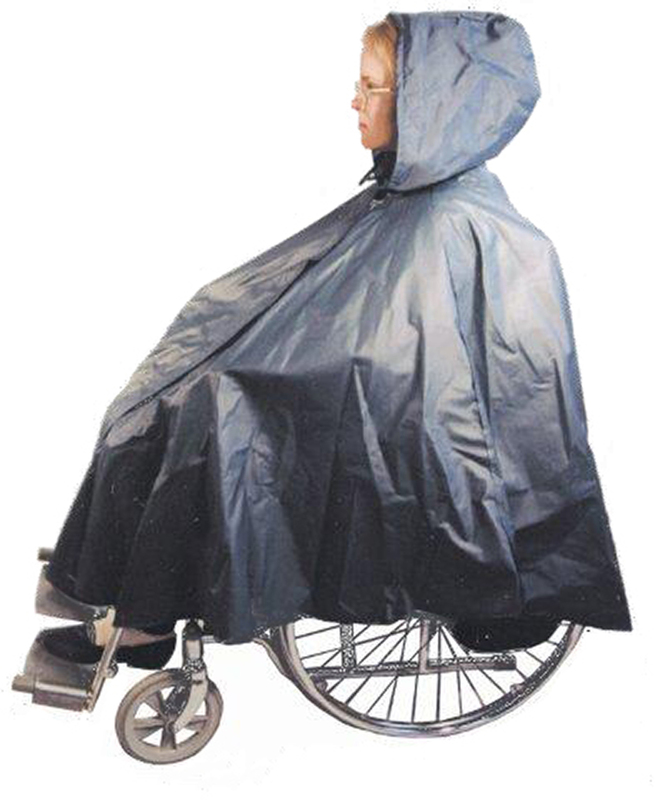 A generous size rain cape to protect the person seated in a wheelchair and the wheelchair as well. Has a Hook & Loop closure that can be opened and closed from the inside as well as the outside, also has a double thickness hood for warmth. One size fits all. Made of 100% nylon – machine washable.